Royal Sutton Coldfield Town Council confirms the full CBSO programme for Concerts in the Park on Saturday 30 June. Tickets still available for Saturday 30 June. Royal Sutton Coldfield Town Council is delighted to confirm the full programme for Concerts in the Park on Saturday 30 June along with a world-class conductor and soloist. Tickets are still available and cost £20 for adults and £10 for children and those on benefits (plus box office fee). Join the world-class City of Birmingham Symphony Orchestra (CBSO) as they take to the stage at 7pm and perform a brilliant outdoor fiesta programme. Opening with Strauss Overture to Die Fledermaus the programme includes highlights from Tchaikovsky’s The Nutcracker as well as Bernstein’s Mambo from West Side Story through to Prokofiev Romeo and Juliet: Montagues and Capulets and Tchaikovsky Sleeping Beauty Waltz. Described as “one of Britain’s very best choirs” by the New York Times, Ex Cathedra will be on stage from 4pm, performing seasonal music from the 13th-century Sumer is icumen in (e.g The Whicker Man) to arrangements of Singin’ in the rain and Somewhere beyond the sea. Their programme also includes a medley of best-loved Mozart tunes, a Dance to your daddy and some fun based on a sheep counting rhyme! Ahead of the CBSO’s performance support will also include Down for the Count Vintage Swing Orchestra performing a mix of vintage swing followed by their Motown Collective getting everyone on their feet in the early evening with a selection of medleys and soul favourites. Belgian born Dirk Brossé is a composer and respected conductor on the international music scene. He is currently Music Director of ‘The Chamber Orchestra of Philadelphia’, Music Director of the Filmfestival Ghent and Music Director and principal conductor of the ‘Star Wars in Concert World Tour’. Dirk will bring a wealth of international experience to Sutton Coldfield’s beautiful Sutton Park as well as conducting his own arrangement on the evening of Radetzky Waltz. 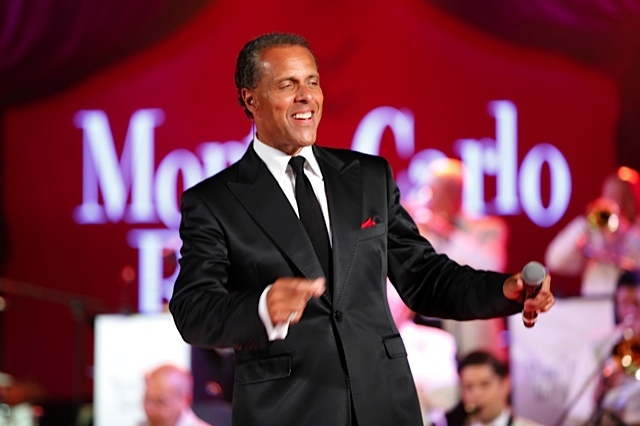 Joining the world-class line up is Lance Ellington one of the UK's most prominent male vocalists with as charismatic style and sultry tones. Lance is an English singer, songwriter, and actor specialising in swing and big ballads. He has worked with many artists including Sting, George Michael, Gloria Gaynor, Michael Jackson, and Robbie Williams; and currently makes regular performances on the BBC programme Strictly Come Dancing. Gates open at 1.30pm with audiences able to enjoy quality craft food and drink stalls including deli treats, award winning pizza and artisan crepes and ice cream along-side a range of boutique local craft beer and prosecco bars in the beautiful surroundings of Sutton Park. This year there is the option of listen to the concerts under the canopy of the adjacent woodland and sip drinks at the botanical tent hosted by Simpsons Gin Bar whilst being entertained with cocktail demonstrations. Tickets are available to purchase via Sutton Coldfield Town Hall either online http://www.townhallsuttoncoldfield.co.uk/ or via the Box Office which is open Monday – Friday 10am – 4pm on 0121 296 9543 at a cost of £20 for adults and £10 for children and concessions (plus box office fee). Under 3’s go free. Concerts in the Park is supported by Sutton Coldfield Charitable Trust, Punter Southall, Sutton Coldfield College, and Royal Sutton Coldfield Chamber of Commerce.